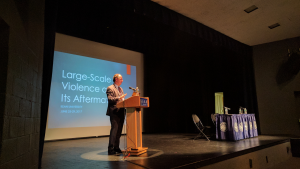 From June 25-29, 2017, the Auschwitz Institute for Peace and Reconciliation (AIPR) partnered with the Cardozo Law Institute in Holocaust and Human Rights (CLIHHR) and the host institution, Kean University, to conduct a summer institute entitled “Large-Scale Violence and Its Aftermaths“. The five-day event was co-convened by the American Ethical Union, Clark University’s Strassler Center for Holocaust and Genocide Studies, Columbia University’s Alliance for Historical Dialogue and Accountability, the International Center for Transitional Justice, Rutgers University’s Center for the Study of Genocide and Human Rights, and Kean University’s Human Rights Institute, Jewish Studies Program, and Office of Academic Affairs. 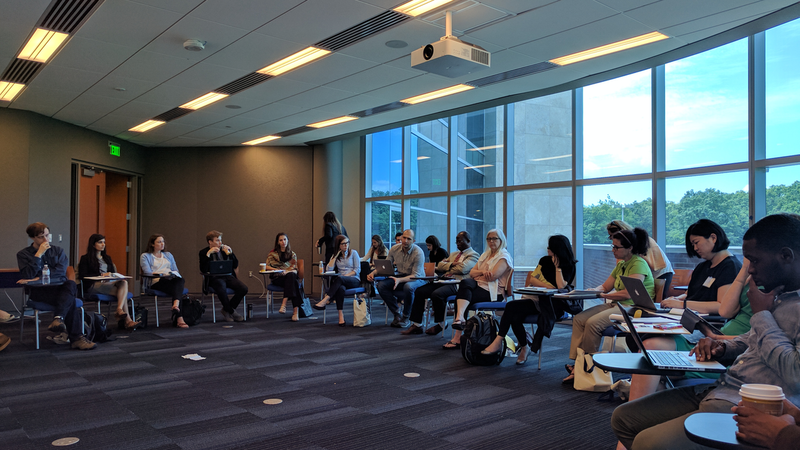 Participants in the summer institute explored tested and contested measures of dealing with the global legacies of large-scale, collective violence and atrocity crimes – including crimes against humanity, war crimes, and genocide. The institute’s purpose was twofold: (i) to clarify the anemic performance by state actors in managing atrocities and restoring confidence in social stability and security; and (ii) to consider non-state, civil-society alternatives that could move progressively toward securing and transforming successor societies. The opening days of the event (June 25-26) were held as a conference, featuring thematic panels and two keynote addresses at the conclusion of each. 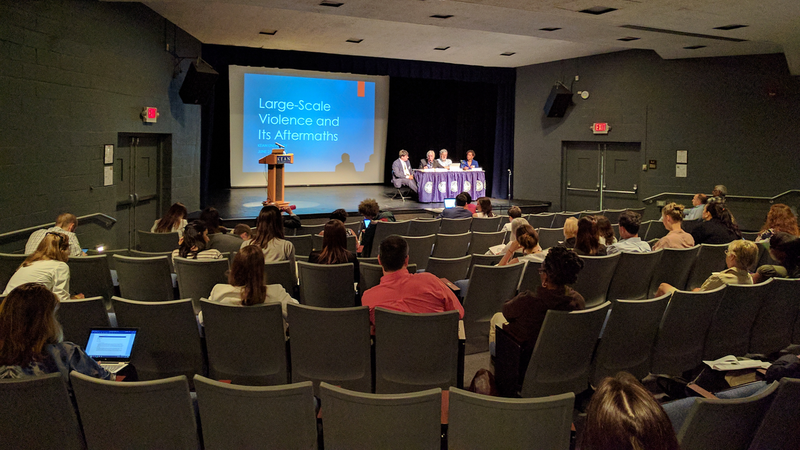 Following a series of welcoming remarks including an acknowledgment of the Lenni-Lenape nation, whose ancestral lands now house Kean University, the first day of the event included panels on frameworks for dealing with the past, transitional justice and the United States, and anti-immigrant violence before concluding with a keynote address by Pablo de Greiff, United Nations Special Rapporteur on the promotion of truth, justice, reparation, and guarantees of non-recurrence. 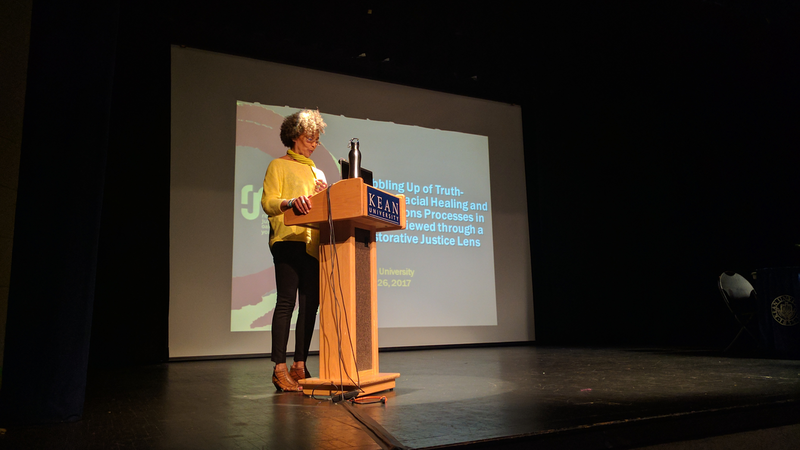 The second day was comprised of panel discussions on indigenous populations in the United States, gender violence and reproductive justice, and historical dialogue and the legacies of slavery, which preceded the event’s second keynote address, delivered by Dr. Fania E. Davis, Co-Founder and Executive Director of Restorative Justice for Oakland Youth (RJOY). The subsequent two days of the event June 27-28) were dedicated to thematic working groups. 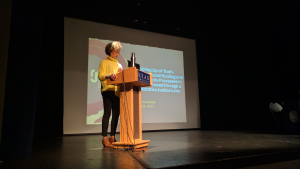 The first of these days featured presentations and discussion on justice and accountability, the protection of vulnerable groups, and performance and activism. A film screening of The Destruction of Memory, was held along with a question and answer session with Mr. András Riedlmayer, who was featured in the film. 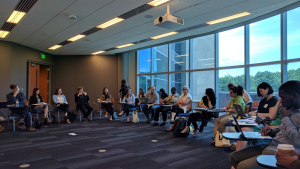 The following day included working group sessions on the topics of memory, transitioning from violence to peace, U.S. atrocities, and “Avatar: Genocide in the Cinema,” as well as a presentation of books and films by participants in the institute. The event wrapped up on June 29, with time given to participants to visit relevant museums and memorial sites in the New York area such as the National Museum of the American Indian, the National September 11 Memorial & Museum, the Ellis Island National Museum of Immigration, and the African Burial Ground National Monument. The PDF copy of the official event agenda can be downloaded by clicking here. Official event photos provided by Kean University are available here and here.